Folks seem to be in a quandary when asked if the terms "Islam" and "Fascists" can be used in the same sentence. Those who line-up on the naysayers' side claim any such linkage demonstrates a lack of sensitivity toward the vast majority of followers of Islam. But despite some weak politically correct attempts, the fact is that the press for the most part is guilty of whitewashing one simple fact: There is a radical, heretical brand of Islam fostering terrorism that is indeed a by-product of Fascism and a hatred of Jews. Atta's peculiar "Nationalist Socialist way of thinking," however, was far from unique. In fact, it was a seed germinating for 80 years among radical Islamists that can be traced to Hassan al-Banna, a 22-year-old school teacher who gathered discontent Muslims to found the Muslim Brotherhood in 1928/1929. So what was Al-Banna teaching? Well, for one thing Al-Banna idealized death. 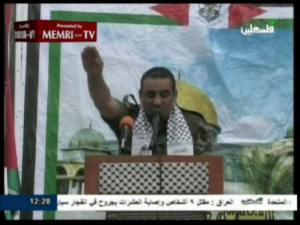 Spreading their hate-filled message toward Jews, the Muslim Brotherhood found a soul-mate in Amin el-Husseini, the Mufti of Jerusalem who held the highest political and religious posts in Palestine from 1921 until after World War II. Loftus and other authors note that the Muslim Brotherhood and Mufti had common goals with the new Nazi doctrines: a hatred for Western culture, democracy and Jews. The Mufti with the Muslim Brotherhood and Nazi ideology was a dangerous cocktail. Starting in 1933, the Mufti repeatedly offered to serve the German Nazi government. In the beginning, however, the Mufti's fight against Jews was only supported in terms of ideology. That soon, however, changed. The Palestine's 1936 "Arab Revolt" was in a large part incited by the Mufti, with cries of "Down with the Jews!" and "Jews get out of Egypt and Palestine!" It was not until 1937 that the Mufti's "Holy War" began to receive substantial financial support and weapons from Nazi Germany, which allowed Hitler's Islamist agents both in Palestine and the Muslim Brotherhood in Egypt to spread their anti-Jewish hatred. Klaus Gensicke writes in his dissertation on the Mufti's collaboration with the Nazis: "The Mufti himself admitted that it was entirely due to the money contributed by the Germans that allowed him at that time to carry out the uprising in Palestine." 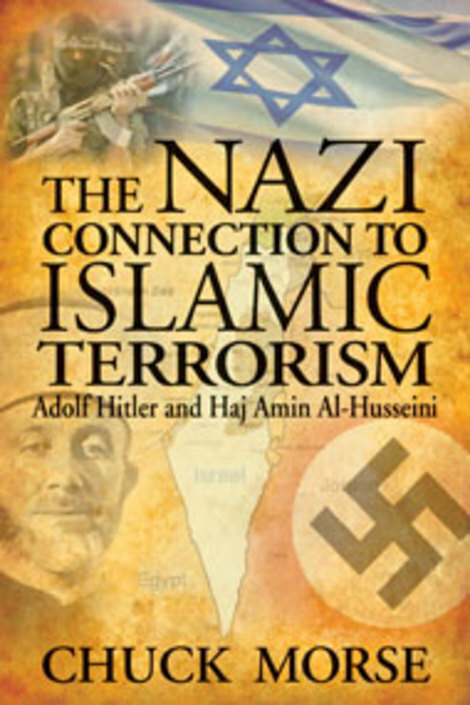 Storobin notes that al-Husseini was, "officially received by Adolf Hitler on November 28, 1941, who agreed to establish a bureau for al-Husseini which was used to spread propaganda on behalf of Nazi Germany, organize spy rings in Europe and the Middle East, and most importantly, establish Muslim Nazi SS divisions and Wehrmacht units in Bosnia, the Balkans, North Africa and Nazi-occupied parts of the Soviet Union. After the meeting, the Mufti was also named SS Gruppenfuehrer by Heinrich Himmler and referred to as the "Fuhrer of the Arab World" by Adolf Hitler himself." According to Küntzel, "The powerful collaboration of the Muslim Brothers with the Mufti and the pogroms against Jews a few months after the world learned about Auschwitz clearly showed that the Brotherhood either ignored or even justified Hitler's extermination of European Jews." Küntzel telling writes that "The consequences of this attitude, however, continue to be far-reaching and characterize the Arabic-Jewish conflict to this day." (15) Küntzel notes that this group of Islamists in 1947 explained away the international support of the creation of Israel and the murder of six million European Jews by Nazi Germany, by reverting to anti-Semitic conspiracy theories. Not surprisingly, given their role in WWII, the Muslim Brotherhood was wanted for War Crimes. However, instead of being brought to justice the Arab Nazis were snapped up by foreign spy agencies. Specifically, John Loftus claims that, almost the entire network was taken in by the British Secret Service. "Then a horrible thing happened. Instead of prosecuting the Nazis--the Muslim Brotherhood--the British Government hired them. They brought all the fugitive Nazi war criminals of Arab and Muslim descent into Egypt, and for three years trained them on a special mission. The British Secret Service wanted to use the fascists of the Muslim Brotherhood to strike down the infant state of Israel in 1948. Only a few people in the Mossad know this, but many of the members of the Arab armies and terrorist groups that tried to strangle the infant State of Israel were the Arab Nazis of the Muslim Brotherhood." Despite being now on side of the Allies, the Brotherhood didn't sit still -- nor did their ideology get any tamer. One of the main voices behind the Muslim Brotherhood was Sayed Qutb. With time, Qutb would eventually become the organization's ambassador in the 1950s in Syria and Jordon, as well as being the editor of the Brotherhood's official publication. While in prison following an assassination attempt on Egypt's Nasser, Qutb wrote his treatise, Milestones, that advocated overthrowing Arab governments that refused to be run by anything other than the law of Islamic Shariah. That fleeing of Muslim Brotherhood members -- people who had been radicalized by Qutb, the Mufti and Nazi ideology -- and the consequent spreading of their message, is something that the world is still living with. According to that same BBC article, "Qutb and (Pakistan's Syed Abul Ala Maududi) inspired a whole generation of Islamists, including Ayatollah Khomeini, who developed a Persian version of their works in the 1970s. Author and journalist Robert Dreyfuss also claims that the groundwork for the Ayatollah Khomeini was done by an Iranian by the name of Ali Shariat who was influenced by the Brotherhood. As a sidenote, with respect to Hezbollah, it is widely reported that the organization got its beginnings in Iran. That is an oversimplification. "The origins of Shi'i Islamism in Lebanon go back not to Iran, as is commonly thought, but to Iraq in the 1960s where a Shi'i religio-political revival took place in the "circles of learning" (hawzat al-'ilmiya) in Najaf, led by the charismatic Ayatollah Muhammad Baqir as-Sadr," according to an article in the Middle East Review of International Affairs - Sept. 1997. Iran's importance only became more noted upon the death of Sadr, and the success of the Iranian Revolution led by Khomeini. By 1984, Iran was financing around 90 percent of Hezbollah's social works in Lebanon. As it stands now, Hezbollah "subscribes to Khomeini's theory that a religious jurist (wilayat al-faqih) should hold ultimate political power. The authority of this jurist, both spiritual and political, may not be challenged; he must be obeyed. Hezbullah sees itself fulfilling the messianic role of turning Lebanon into a province of Islam. In its "open letter" of February 1985, Hizbullah declared that Muslims must "abide by the orders of the sole wise and just command represented by the supreme jurisconsult, who is presently incarnate in the imam_Ayatollah Khomeini. It also called for a battle with vice, meaning foremost the United States, and for the destruction of Israel to make way for Palestine," according to that same Middle East Review of International Affairs article. Eventually, says Loftus the control of the Muslim Brotherhood passed to the United States and the CIA - or its earlier form -- as a counterweight for Arab Communists. But this still doesn't explain how we get the current form of Islam Fascists. For that one needs to remember that after Nasser expelled the Muslim Brotherhood from Egypt many of them went to Saudi Arabia. According to Loftus, "during the 1950s, the CIA evacuated the Nazis of the Muslim Brotherhood to Saudi Arabia. Now, when they arrived in Saudi Arabia, some of the leading lights of the Muslim Brotherhood, like (Dr Abdullah) Azzam, became the teachers in the madrassas, the religious schools. And there they combined the doctrines of Nazism with this weird Islamic cult, Wahhabism." To this last point, Trevor Stanley also writes that today there are "a profusion of self-proclaimed Salafi groups," where each accuses "the others of deviating from 'true' Salafism." Meanwhile, non-Muslims and mainstream Muslims alike use the 'Wahhabi-Salafi' label to denigrate Salafis and even completely unrelated groups such as the Taliban, adds Stanley. It was in the Saudi Arabian madrassas, or schools, of Abdullah Azzam that Nazi Fascism with religious extremism were married. And in one of those madrassas, the student Osama bin Laden studied. "The origins of Bin Laden's concept of jihad can be traced back to two early 20th century figures, who started powerful Islamic revivalist movements in response to colonialism and its aftermath," writes Fiona Symon, a Middle East analyst. "Pakistan and Egypt - both Muslim countries with a strong intellectual tradition - produced the movements and ideology that would transform the concept of jihad in the modern world." Loftus -- and many other authors - says that with the Russian invastion of Afghanistan in 1979, "the CIA decided to take the Arab Nazis out of cold storage." One of those people shipped off to Afghanistan, after being indoctrinated in Azzam's madrassas, was Osama bin Laden - and who in turn melded the ideas of Hassan al-Al-Banna's Muslim Brotherhood with those of Pakistan's Syed Abul Ala Maududi's Jamaat Islami after being exposed to it while fighting in Afghanistan. Their terror has now extended to the entire world. While the vast majority of believers in Islam certainly cannot be labeled as Islam Fascists, it remains that there is a group within the Muslim ranks that does have its roots based in National Socialism and Fascist ideologies. In an effort to brand Bush as politically incorrect, anti-Bush politicians and bloggers who are ignorant of history have become unwitting apologists for Islamo-Fascism, a movement within Islam that many Muslims claim is heretical. 16) Quoted from: Abd Al-Fattah Muhammad El-Awaisi, "The Muslim Brothers and the Palestine Question 1928-1947", London 1998, p. 195. Robert Duncan is a journalist and ombudsman for foreign press in Spain. He is an Executive Board Member and Vice-President for the Organización de Periodismo y Comunicación Ibero-Americana, and Vice-President of the energy and telecommunications association, APSCE. He is News Editor for Spero News, and Editor-In-Chief of EnerPub and Santificarnos. He has also been published in World Catholic News, National Catholic Register, Renew America, Lifesite.net, as well as Capital Hill Coffee House, Common Conservative, The Conservative Voice, Enter Stage Right, News By Us, Conservative Crusader, World Net Daily, Mens News Daily and others. Robert was the bureau chief for an international news agency in Madrid for many years, and was published regularly in Dow Jones Newswires, with articles appearing in The Wall Street Journal. I have mixed feelings about The Nazi Connection To Islamic Terrorism. Overall, I enjoyed the book and I think it is book worthy of contributing a footnote, if not a line, to history. It is true there was, and to some degree still is, a Nazi connection to Islamic terrorism; the author, Chuck Morse, does a fairly good job of making his case. The problem I have with the book is the idea that if somehow Islam became "de-Nazified" then peace would reign in the Middle East. I have seen this argument elsewhere, before reading this book, and it does not take into account the wealth of historical information that Islam since its inception has had issues with all things, persons, and people groups that are not Islam. Islam did not get hijacked in the early 20th century. In fact, one main (and obvious) question this book fails to address is that "if Islam is peaceful then how did so many Muslims (many of them leaders and clerics) from WWI until now readily ally themselves with National Socialism?" To put it another way - if Islam, at its heart, seeks political hegemony over non-Muslims then making a connection between Islam and Nazism is unnecessary. This book, and this review, are a little bit different than others as I actually chatted with the author about this book and its premise. An account of that can be found here. The station that hosts the show, WDIS AM1170, sent the book to me in time for the show. I was able to read the front and back covers and the introduction in time for the show. The "antagonist" of the book, Amin Al-Husseini, was the Grand Mufti of Jerusalem before WWII. His picture is on the cover of the book. The "protagonist" was Emir Faisal. Emir was an Arab royal who represented the Arab people at the Paris Peace Conference in 1919; he recognized the legitimacy of a future Jewish state. The optimism of the book is apparent. While Chuck does not now support the Oslo Peace process, he still holds out peace in the Middle East as it relates to Israel. It is worth noting that this book focuses on Muslim militancy towards Jews and the state of Israel and does not spend much ink on Islamic terrorism at large. When I chatted with Chuck Morse on The Fairness Doctrine, he openly admitted that he may be overly optimistic towards the situation between Muslims and non-Muslims. Indeed, I think many in the world prey upon such optimism. The cozy relationship between Nazi's and Muslims before, during, and after WWII is outlined in great detail in this book and should cause one to pause. The reader will appreciate the numerous, historical photos that make their way into this book. This bolsters the author's position while linking people, places and events in a way that helps the reader put them all into a context. Near the end of the book there is a section on Communism and Islamic terrorism. I did not see this chapter as necessary and I saw it as taking away from the title and purpose of the book. The book closes with documentation and explanations of portions mentioned earlier in the book. While this section was rather boring, it was necessary to include in the book and the back is as good a place as any. 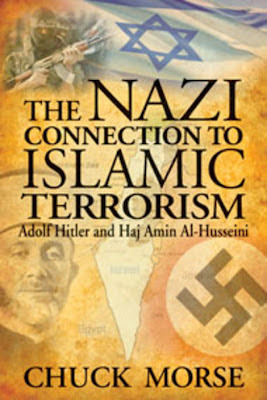 Pick up your copy of The Nazi Connection To Islamic Terrorism and see a side of WWII that you probably have never seen before. Why do so many Arabs sound like Nazis when they talk about Jews? The answer lay buried for decades in the archives of the Third Reich. Then a generation of younger German scholars expanded their attention beyond the death camps of Europe to Hitler's activities in the Middle East. What they discovered: it was Hitler who financed the modern jihadi movement. Nazi-Arab collaboration was crucial to the Final Solution. The Third Reich financed and trained the Muslim Brothers of Palestine and Egypt in terrorism and focused their anti-modernity rage on Jews. One of the first people Hitler told about his plans to kill Europe's Jews was the head of the Muslim Brotherhood in Palestine, the infamous mufti of Jerusalem, Yasser Arafat's cousin. Hitler and the mufti shook hands on a plan to exterminate all the Jews of the Middle East. The Reich preserved the memo, the minutes, and a photo of their famous handshake. Husseini was passed along to Goebbels, who established him as the Nazi voice to the Middle East. It was the most popular radio program of the long war years, broadcast daily into every café. This Nazi station was listened to by the entire male population, Arab and Persian, including most famously Ayatollah Khomeini. It was an intoxicating mix of militant Islam, Nazism, and war propaganda. The Palestinian leadership and Hitler successfully collaborated on a crucial step of the Final Solution -- mob violence and a reign of terror pressured Britain to shut down Jewish immigration to what is now Israel. They trapped the Jews in Europe, where six million perished in the killing fields and death camps. Adolf Eichmann's deputy, Dieter Wisliceny, stated at his Nuremberg trial that the mufti's importance "must not be disregarded[.] ... [T]he Mufti had repeatedly suggested to ... Hitler, Ribbentrop and Himmler, the extermination of European Jewry[.] ... The Mufti was one of the initiators of the systematic extermination of European Jewry and had been a collaborator and advisor of Eichmann and Himmler in the execution of the plan." Winston Churchill spoke in the House of Commons against the shutting down of Jewish immigration to today's Israel. He clearly saw the Nazi hand behind the Arab riots: "We are now asked to submit, and this is what rankles most with me, to an agitation which is fed with foreign money and ceaselessly inflamed by Nazi and by Fascist propaganda." Hitler's influence has been permanently embedded in Arab culture. During World War II, there was a popular song among Arabs: "Allah in heaven, Hitler on earth." Sheikh al-Qaradawi, the spiritual leader of the Muslim Brotherhood today, in his weekly sermon broadcast on Al Jazeera to an audience of 60 million, prayed about the Jews: "Oh Allah, kill them, down to the very last one." "Throughout history, Allah has imposed upon the [Jews] people who would punish them for their corruption. The last punishment was carried out by [Adolf] Hitler." In Tahir Square, a mob of Arab Spring celebrants screamed, "Jew, Jew, Jew" as they raped blond American journalist Lara Logan. We are all too familiar with Iran's plans for their nuclear program -- to carry out Hitler's dream. The Palestinian national movement was founded by Hitler's henchman, al Husseini, mufti and the head of the Muslim Brotherhood in Palestine. The founder of the PLO, Yasser Arafat, was trained by German Nazi army officers who were welcomed in Cairo after the war. He adopted the name "Yasser" to honor the Muslim Brother's terror chief of the 1930s, who kidnapped Arabs in Western clothes and threw them into pits of scorpions and snakes. Their corpses would be left in the street for days, shoes stuck in their mouths, as a lesson for any Arab who believed in tolerating Jews or welcoming modernization. During Oslo, Arafat's personal bodyguard had sons named Hitler and Eichmann, according to Israeli Prime Minister Netanyahu's book, A Place Among the Nations. The continuity is striking. Reich set the Brothers up with a printing press and fake photos of alleged torture of Arabs by Jews -- just as today, Iranian, Egyptian, and Palestinian state TV broadcasts dramatizations of Jews stealing Arabs' eyeballs and killing Arab children to use their blood in matzoh. Organizing in mosques, schools, and workplaces with Hitler's funds, the Brothers spread lies that Jews planned to destroy the Al Aqsa mosque in Jerusalem and trample on the Koran -- the same exact lies Yasser Arafat used to launch the second intifada. On the Ramadan after 9/11, Egyptian President Mubarak launched a 41-week dramatization of that Nazi favorite, the Protocols of the Elders of Zion, in an emotional call for genocide against the world's Jews. Hitler has never left the Middle East. For almost 70 years, the Arab world has been pickled in Nazi Jew-hatred. In the words of Matthias Kuntzel, author of Jihad and Jew-Hatred: Islamism, Nazism and the Roots of 9/11, "[i]f there is one theme ... which unites Islamists, Liberals, Nasserites and Marxists, it is the collective fantasy of the common enemy in the shape of Israel and the Jews, which almost always correlates with the wish to destroy Israel." Jew-hatred is indispensible to Arab leaders, from Egypt to Saudi Arabia to Iran to the Palestinian Authority, in their fight against democratic Western values. Nazi jihadism didn't win without a fight from the modernizing forces in Egypt. Many signs indicate that Israel would have been a welcome neighbor. Religious leaders fought the Brotherhood's attempts to politicize Friday prayers with false claims that Jews were attacking Al Aqsa and the Koran. The rector of Al-Azhar, Sunni Islam's most important university, forbade anti-Jewish propaganda. Ali Mahir, Egyptian King Farouk's top adviser, called for a united Palestinian state based on mutual tolerance and regulated immigration for both Jew and Arab. Today, the fight is lost. All of those institutions are firmly entrenched in Nazi-jihadi anti-Semitism. The coalition government of the Palestinian Authority and Hamas, which is a terrorist Muslim Brotherhood organization, are united in their denial of Israel's right to exist. Jew-hatred is so popular that it is possible that no Arab leader can speak out against it. It explains why the Palestinians have turned down a state of their own four times. They are holding out for Hitler's solution. Peace is the last thing they want. Otherwise, peace would be here today. Obama is quite wrong. If desired by both sides, peace is easy. It is Nazi-Islamic propaganda that is so hard to solve.